APlus launched its Maiden Institute In Coimbatore. A small milestone which marked the beginning of a long sailing in the ocean of Education, with innovations in every step of the way. Today Aplus runs nearly 5 Educational Institutions catering to the needs of around 20,000 from kindergarten to doctoral degrees and a strong alumni who are an integral part of enriched communities over the world for the past 15 years. The world in general and our country in particular has been witenessing changes of Varying Nature, Economic Reforms, explosive development in the technology sector and this almost unbelievable pace in developments on the communication field have together transformed the Manpower Needs. Educational Institutions of the present day world must be capable of meeting the manpower needs of the new, vibrant and ever changing technology-ridden industry and society. Such institutions have to be economic endeavours in addition to being moral enterprises. 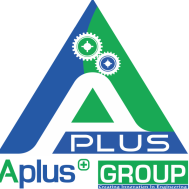 Aplus NDT & CADD Training Center conducts classes in .Net Training, AC3D 3D Modeling and API & Web Service Testing. It is located in Gandhipuram, Coimbatore. It takes Regular Classes- at the Institute.